There's a common misconception that granite restoration and cleaning is almost impossible. While marble restoration can be challenging, a true marble restoration company should be able to complete the job with ease and precision. The key to avoiding having to call a granite restoration company is proper caring. Proper cleaing and care will not only extend the life of your stone, but give it a nice glow. Since granite is much different than marble, the care that it entails is also different. Since granite is a much harder stone, the products used will also differ. The best cleaning products for your granite are pH neutral. This means that it is not overly acidic and does not contain harsh chemical or abasives. 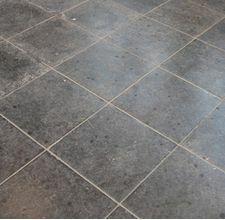 Ensuring the quality of your granite cleaning product can be tricky and picking the wrong product, with low quality can actually damage the stone. If you're in doubt, it's always a good idea to call your local stone restoration or granite cleaning company to inspect the stone and give you a quote. Most granite restoration companies have the proper equipment and experience, which SHOULD keep the cost down. Searching locally for Miami marble restoration brings up a bunch of results. So make sure you ensure the company is fully licensed and experienced with all types of stone.